Alternative fuels, known as non-conventional and advanced fuels , are any materials or substances that can be used as fuels, other than conventional fuels like; fossil fuels (petroleum (oil), coal, and natural gas), as well as nuclear materials such as uranium and thorium, as well as artificial radioisotope fuels that are made in nuclear reactors. Some well-known alternative fuels include biodiesel, bioalcohol (methanol, ethanol, butanol), refuse-derived fuel, chemically stored electricity (batteries and fuel cells), hydrogen, non-fossil methane, non-fossil natural gas, vegetable oil, propane and other biomass sources. Almost all fuels are chemical fuels. The user employs this fuel to generate heat or perform mechanical work, such as powering an engine. It may also be used to generate electricity, which is then used for heating, lighting, or other purpose. Biofuels are also considered a renewable source. Although renewable energy is used mostly to generate electricity, it is often assumed that some form of renewable energy or a percentage is used to create alternative fuels. Biomass in the energy production industry is living and recently dead biological material which can be used as fuel or for industrial production. Algae-based biofuels have been promoted in the media as a potential panacea to crude oil-based transportation problems. Algae could yield more than 2000 gallons of fuel per acre per year of production. Algae based fuels are being successfully tested by the U.S. Navy Algae-based plastics show potential to reduce waste and the cost per pound of algae plastic is expected to be cheaper than traditional plastic prices. Biodiesel is made from animal fats or vegetable oils, renewable resources that come from plants such as jatropha, soybean, sunflowers, corn, olive, peanut, palm, coconut, safflower, canola, sesame, cottonseed, etc. Once these fats or oils are filtered from their hydrocarbons and then combined with alcohol like methanol, biodiesel is brought to life from this chemical reaction. These raw materials can either be mixed with pure diesel to make various proportions, or used alone. Despite one’s mixture preference, biodiesel will release smaller number of pollutants (carbon monoxide particulates and hydrocarbons) than conventional diesel, because biodiesel burns both cleanly and more efficiently. Even with regular diesel’s reduced quantity of sulfur from the ULSD (ultra-low sulfur diesel) invention, biodiesel exceeds those levels because it is sulfur-free. Methanol and ethanol fuel are primary sources of energy; they are convenient fuels for storing and transporting energy. These alcohols can be used in internal combustion engines as alternative fuels. Butanol has another advantage: it is the only alcohol-based motor fuel that can be transported readily by existing petroleum-product pipeline networks, instead of only by tanker trucks and railroad cars. Carbon neutral fuel is synthetic fuel—such as methane, gasoline, diesel fuel or jet fuel—produced from renewable or nuclear energy used to hydrogenate waste carbon dioxide recycled from power plant flue exhaust gas or derived from carbonic acid in seawater. Such fuels are potentially carbon neutral because they do not result in a net increase in atmospheric greenhouse gases. To the extent that carbon neutral fuels displace fossil fuels, or if they are produced from waste carbon or seawater carbonic acid, and their combustion is subject to carbon capture at the flue or exhaust pipe, they result in negative carbon dioxide emission and net carbon dioxide removal from the atmosphere, and thus constitute a form of greenhouse gas remediation. Such carbon neutral and negative fuels can be produced by the electrolysis of water to make hydrogen used in the Sabatier reaction to produce methane which may then be stored to be burned later in power plants as synthetic natural gas, transported by pipeline, truck, or tanker ship, or be used in gas to liquids processes such as the Fischer–Tropsch process to make traditional transportation or heating fuels. Carbon-neutral fuels have been proposed for distributed storage for renewable energy, minimizing problems of wind and solar intermittency, and enabling transmission of wind, water, and solar power through existing natural gas pipelines. Such renewable fuels could alleviate the costs and dependency issues of imported fossil fuels without requiring either electrification of the vehicle fleet or conversion to hydrogen or other fuels, enabling continued compatible and affordable vehicles. Germany has built a 250-kilowatt synthetic methane plant which they are scaling up to 10 megawatts. Audi has constructed a carbon neutral liquefied natural gas (LNG) plant in Werlte, Germany. The plant is intended to produce transportation fuel to offset LNG used in their A3 Sportback g-tron automobiles, and can keep 2,800 metric tons of CO2 out of the environment per year at its initial capacity. Other commercial developments are taking place in Columbia, South Carolina, Camarillo, California, and Darlington, England. Nighttime wind power is considered the most economical form of electrical power with which to synthesize fuel, because the load curve for electricity peaks sharply during the warmest hours of the day, but wind tends to blow slightly more at night than during the day. Therefore, the price of nighttime wind power is often much less expensive than any alternative. 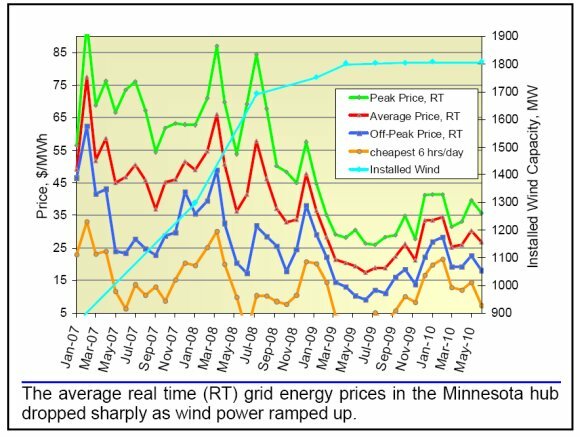 Off-peak wind power prices in high wind penetration areas of the U.S. averaged 1.64 cents per kilowatt-hour in 2009, but only 0.71 cents/kWh during the least expensive six hours of the day. Typically, wholesale electricity costs 2 to 5 cents/kWh during the day. Commercial fuel synthesis companies suggest they can produce fuel for less than petroleum fuels when oil costs more than $55 per barrel. The U.S. Navy estimates that shipboard production of jet fuel from nuclear power would cost about $6 per gallon. While that was about twice the petroleum fuel cost in 2010, it is expected to be much less than the market price in less than five years if recent trends continue. Moreover, since the delivery of fuel to a carrier battle group costs about $8 per gallon, shipboard production is already much less expensive. However, U.S. civilian nuclear power is considerably more expensive than wind power. 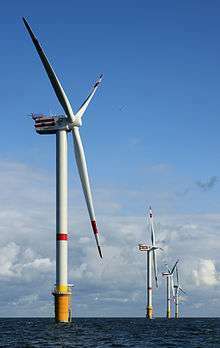 The Navy's estimate that 100 megawatts can produce 41,000 gallons of fuel per day indicates that terrestrial production from wind power would cost less than $1 per gallon. Another fuel is formic acid. The fuel is used by converting it first to hydrogen, and using that in a fuel cell. Formic acid is much more easy to store than hydrogen. Liquid nitrogen is another type of emissionless and efficient fuel. Propane is a cleaner burning, high performance fuel derived from multiple sources. It is known by many names including propane, LPG (liquified propane gas), LPA (liquid propane autogas), Autogas and others. Propane is a hydrocarbon fuel and is a member of the natural gas family. Propane is stored and transported in a liquid state at roughly 5 bar (73 psi) of pressure. Fueling vehicles is similar to gasoline in speed of delivery with modern fueling equipment. Propane filling stations only require a pump to transfer vehicle fuel and does not require expensive and slow compression systems when compared to compressed natural gas which is usually kept at over 3,000 psi (210 bar). Compressed natural gas (CNG) and liquified natural gas (LNG) are two cleaner combusting alternatives to conventional liquid automobile fuels. Compressed natural gas (CNG) vehicles can use both renewable CNG and non-renewable CNG. Conventional CNG is produced from the many underground natural gas reserves are in widespread production worldwide today. New technologies such as horizontal drilling and hydraulic fracturing to economically access unconventional gas resources, appear to have increased the supply of natural gas in a fundamental way. Renewable natural gas or biogas is a methane‐based gas with similar properties to natural gas that can be used as transportation fuel. Present sources of biogas are mainly landfills, sewage, and animal/agri‐waste. Based on the process type, biogas can be divided into the following: biogas produced by anaerobic digestion, landfill gas collected from landfills, treated to remove trace contaminants, and synthetic natural gas (SNG). Because natural gas emits little pollutant when combusted, cleaner air quality has been measured in urban localities switching to natural gas vehicles Tailpipe CO2 can be reduced by 15–25% compared to gasoline, diesel. The greatest reductions occur in medium and heavy duty, light duty and refuse truck segments. CO2 reductions of up to 88% are possible by using biogas. In theory, electricity from nuclear reactors could also be used for propulsion in space, but this has yet to be demonstrated in a space flight. Some smaller reactors, such as the TOPAZ nuclear reactor, are built to minimize moving parts, and use methods that convert nuclear energy to electricity more directly, making them useful for space missions, but this electricity has historically been used for other purposes. Power from nuclear fission has been used in a number of spacecraft, all of them unmanned. The Soviets up to 1988 orbited 33 nuclear reactors in RORSAT military radar satellites, where electric power generated was used to power a radar unit that located ships on the Earth's oceans. The U.S. also orbited one experimental nuclear reactor in 1965, in the SNAP-10A mission. No nuclear reactor has been sent into space since 1988. Thorium-based nuclear power reactors have also become an area of active research in recent years. It is being backed by many scientists and researchers, and Professor James Hansen, the former Director at NASA Goddard Institute for Space Studies has reportedly said, “After studying climate change for over four decades, it’s clear to me that the world is heading for a climate catastrophe unless we develop adequate energy sources to replace fossil fuels. Safer, cleaner and cheaper nuclear power can replace coal and is desperately needed as an essential part of the solution”. Thorium is 3-4 times more abundant within nature than uranium, and its ore, monazite, is commonly found in sands along bodies of water. Thorium has also gained interest because it could be easier to obtain than uranium. While uranium mines are enclosed underground and thus very dangerous for the miners, thorium is taken from open pits. Monazite is present in countries such as Australia, the United States and India, in quantities large enough to power the earth for thousands of years. As an alternative to uranium fuelled nuclear reactors, thorium has been proven to add to proliferation, produces radioactive waste for deep geological repositories like technetium-99 (half-life over 200,000 years), and has a longer fuel cycle. In addition, radioisotopes have been used as alternative fuels, on both land and in space. Their use on land is declining due to the danger of theft of isotope and environmental damage if the unit is opened. The decay of radioisotopes generates both heat and electricity in many space probes, particularly probes to outer planets where sunlight is weak, and low temperatures is a problem. Radiothermal generators (RTGs) which use such radioisotopes as fuels do not sustain a nuclear chain reaction, but rather generate electricity from the decay of a radioisotope which has (in turn) been produced on Earth as a concentrated power source (fuel) using energy from an Earth-based nuclear reactor. ↑ "Is Algae Based Biofuel a Great Green Investment Opportunity". Green World Investor. 2010-04-06. Archived from the original on 17 June 2010. Retrieved 2010-07-11. ↑ "Navy demonstrates alternative fuel in riverine vessel". Marine Log. 2010-10-22. Retrieved 2010-07-11. ↑ "Can algae-based plastics reduce our plastic footprint?". Smart Planet. 2009-10-07. Retrieved 2010-04-05. ↑ Wheeler, Jill (2008). Alternative Cars. ABDO. p. 21. ISBN 978-1-59928-803-1. ↑ Don Hofstrand (May 2009). "Ammonia as a transportation fuel". AgMRC Renewable Energy Newsletter. 1 2 Eisaman, Matthew D.; et al. (2012). "CO2 extraction from seawater using bipolar membrane electrodialysis" (PDF). Energy and Environmental Science. 5 (6): 7346–52. doi:10.1039/C2EE03393C. Retrieved September 7, 2012. 1 2 3 Socolow, Robert; et al. (June 1, 2011). Direct Air Capture of CO2 with Chemicals: A Technology Assessment for the APS Panel on Public Affairs (PDF) (peer reviewed literature review). American Physical Society. Retrieved September 7, 2012. ↑ Lackner, Klaus S.; et al. (2012). "The urgency of the development of CO2 capture from ambient air". Proceedings of the National Academy of Sciences of the United States of America. 109 (33): 13156–62. Bibcode:2012PNAS..10913156L. doi:10.1073/pnas.1108765109. PMID 22843674. Retrieved September 7, 2012. 1 2 Pennline, Henry W.; et al. (2010). "Separation of CO2 from flue gas using electrochemical cells". Fuel. 89 (6): 1307–14. doi:10.1016/j.fuel.2009.11.036. Retrieved September 7, 2012. ↑ Graves, Christopher; Ebbesen, Sune D.; Mogensen, Mogens (2011). "Co-electrolysis of CO2 and H2O in solid oxide cells: Performance and durability". Solid State Ionics. 192 (1): 398–403. doi:10.1016/j.ssi.2010.06.014. Retrieved September 7, 2012. ↑ Fraunhofer-Gesellschaft (May 5, 2010). "Storing green electricity as natural gas". fraunhofer.de. Retrieved September 9, 2012. ↑ Center for Solar Energy and Hydrogen Research Baden-Württemberg (2011). "Verbundprojekt 'Power-to-Gas'" (in German). zsw-bw.de. Retrieved September 9, 2012. ↑ Center for Solar Energy and Hydrogen Research (July 24, 2012). "Bundesumweltminister Altmaier und Ministerpräsident Kretschmann zeigen sich beeindruckt von Power-to-Gas-Anlage des ZSW" (in German). zsw-bw.de. Retrieved September 9, 2012. ↑ Okulski, Travis (June 26, 2012). "Audi's Carbon Neutral E-Gas Is Real And They're Actually Making It". Jalopnik (Gawker Media). Retrieved 29 July 2013. ↑ Rousseau, Steve (June 25, 2013). "Audi's New E-Gas Plant Will Make Carbon-Neutral Fuel". Popular Mechanics. Retrieved 29 July 2013. ↑ Air Fuel Synthesis, Ltd.
↑ Musadi, M.R. ; Martin, P.; Garforth, A.; Mann, R. (2011). "Carbon neutral gasoline re-synthesised from on-board sequestrated CO2" (PDF). Chemical Engineering Transactions. 24: 1525–30. doi:10.3303/CET1124255. Retrieved September 7, 2012. ↑ DiMascio, Felice; Willauer, Heather D.; Hardy, Dennis R.; Lewis, M. Kathleen; Williams, Frederick W. (July 23, 2010). Extraction of Carbon Dioxide from Seawater by an Electrochemical Acidification Cell. Part 1 - Initial Feasibility Studies (PDF) (memorandum report). Washington, DC: Chemistry Division, Navy Technology Center for Safety and Survivability, U.S. Naval Research Laboratory. Retrieved September 7, 2012. ↑ Willauer, Heather D.; DiMascio, Felice; Hardy, Dennis R.; Lewis, M. Kathleen; Williams, Frederick W. (April 11, 2011). Extraction of Carbon Dioxide from Seawater by an Electrochemical Acidification Cell. Part 2 - Laboratory Scaling Studies (PDF) (memorandum report). Washington, DC: Chemistry Division, Navy Technology Center for Safety and Survivability, U.S. Naval Research Laboratory. Retrieved September 7, 2012. ↑ Bloomberg Energy Prices Bloomberg.com (compare to off-peak wind power price graph.) Retrieved September 7, 2012. ↑ Holte, Laura L.; Doty, Glenn N.; McCree, David L.; Doty, Judy M.; Doty, F. David (2010). Sustainable Transportation Fuels From Off-peak Wind Energy, CO2 and Water (PDF). 4th International Conference on Energy Sustainability, May 17–22, 2010. Phoenix, Arizona: American Society of Mechanical Engineers. Retrieved September 7, 2012. ↑ Willauer, Heather D.; Hardy, Dennis R.; Williams, Frederick W. (September 29, 2010). Feasibility and Current Estimated Capital Costs of Producing Jet Fuel at Sea (PDF) (memorandum report). Washington, DC: Chemistry Division, Navy Technology Center for Safety and Survivability, U.S. Naval Research Laboratory. Retrieved September 7, 2012. ↑ Sovacool, B.K. (2011). Contesting the Future of Nuclear Power: A Critical Global Assessment of Atomic Energy, World Scientific, p. 126. ↑ Rath, B.B., U.S. Naval Research Laboratory (2012). Energy After Oil (PDF). Materials Challenges in Alternative and Renewable Energy Conference, February 27, 2012. Clearwater, Florida: American Ceramic Society. p. 28. Retrieved September 7, 2012. ↑ College of the Desert (December 2001). "Module 3: Hydrogen use in internal combustion engines" (PDF). Office of Energy Efficiency and Renewable Energy (EERE). Retrieved 2011-09-12. ↑ Gable, Christine; Gable, Scott. "Fuel or Fool?". about.com. Retrieved 2011-09-12. ↑ "Hydrogen/Natural Gas (HCNG) Fuel Blends". Office of Energy Efficiency and Renewable Energy (EERE). 2009-10-07. Retrieved 2010-07-11. 1 2 Frick, Martin; Axhausen, Kay W.; Carle, Gian; Wokaun, Alexander (2007). 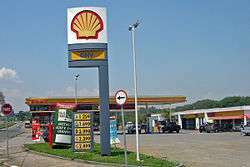 "Optimization of the distribution of compressed natural gas (CNG) refueling stations: Swiss case studies". Transportation Research Part D: Transport and Environment. 12 (1): 10–22. doi:10.1016/j.trd.2006.10.002. ↑ Marbek (March 2010). "Study of Opportunities for natural gas in the transportation sector" (PDF). Natural Resources Canada. Retrieved 2013-02-19. ↑ Wheeler, Jill (2008). Alternative Cars. ABDO. p. 26. ISBN 978-1-59928-803-1. ↑ Penderson, Christian H. (2012). "Association of Taxicab Operators, USA v. City of Dallas: Possible green light ahead for "head-of-line" policies favoring natural gas vehicles" (PDF). 36. Vermont Law Review: 995–1013. Retrieved 2013-02-19. ↑ Goyal, P (2003). "Present scenario of air quality in Delhi: a case study of CNG implementation" (PDF). Atmospheric Environment. 37: 5423–5431. Bibcode:2003AtmEn..37.5423G. doi:10.1016/j.atmosenv.2003.09.005. 1 2 Aslam, M.U. ; Masjuki, H.H. ; Kalam, M.A. ; Abdesselam, H.; Mahlia, T.M.I. ; Amalina, M.A. (March–April 2006). "An experimental investigation of CNG as an alternative fuel for a retrofitted gasoline vehicle". Fuel. 85 (5–6): 717–724. doi:10.1016/j.fuel.2005.09.004. Retrieved 2013-02-19. ↑ Nylund, Nils-Olof; Lawson, Alex (2000). "Exhaust emissions from natural gas vehicles". IANGV Emission Report. ↑ Mathai, Reji; et al. (2012). "Comparative evaluation of performance, emission, lubricant and deposit characteristics of spark ignition engine fueled with CNG and 18% hydrogen-CNG". International Journal of Hydrogen Energy. 37: 6893–6900. doi:10.1016/j.ijhydene.2012.01.083. 1 2 International Atomic Energy Agency. "Thorium fuel cycle — Potential benefits and challenges" (PDF). Retrieved 27 October 2014. ↑ Juhasz, Albert J.; Rarick, Richard A.; Rangarajan, Rajmohan. "High Efficiency Nuclear Power Plants Using Liquid Fluoride Thorium Reactor Technology" (PDF). NASA. Retrieved 27 October 2014. ↑ Hagen, Regina (1998-08-11). "Nuclear Powered Space Missions - Past and Future". Space4peace.org. Retrieved 2013-02-19.